Oh, so much swag! This Star Wars Classic Men’s Lando Calrissian Costume is the true hero. Just like Calrissian himself, this outfit steals the show! 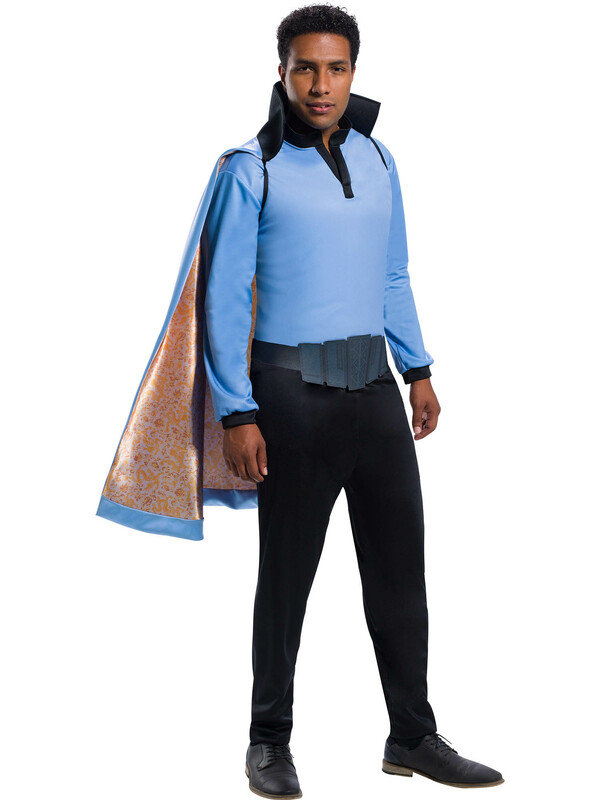 Black pants and belt are coupled with Lando’s iconic powder blue, disco style top with attached flowing cape, lined in metallic gold. There is no doubt that you will earn cool points when you arrive for your next costume party in this Star Wars garb!